Marco Bisang is an investigator in a police department in Switzerland. 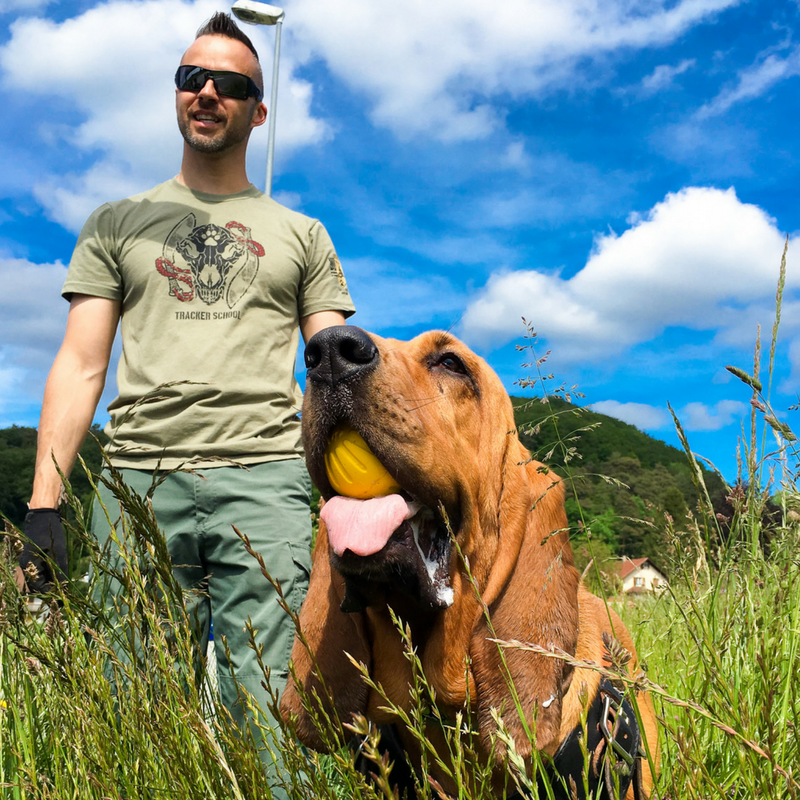 Marco became involved with trailing in 2011 and currently works with his bloodhound Cannelle which is also handled by his wife Alis Dobler. He began trailing with his Cane Corso Katana in 2009. Marco is president of K-9 Search & Rescue Association (www.k9-sra.ch), a swiss association with the aim to deploy trailing dogs in cases of missing persons. He regularly assists in trailing seminar of K-9 Manhunters (www.k9-manhunters.ch) for private citizens and law enforcement classes. Marco is also member of Georgia K9 NTC Europe and has worked very closely with Jeff Schettler at his seminars in Switzerland and Germany.